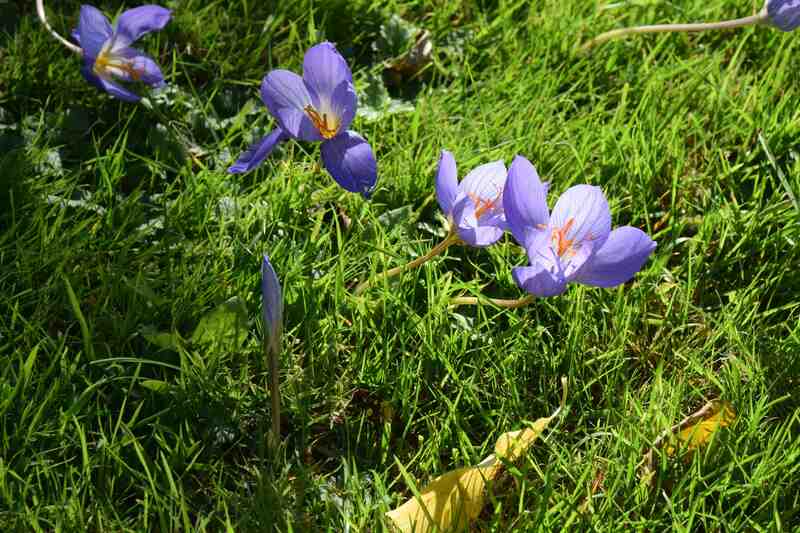 Autumn crocus are a big surprise for most gardeners. 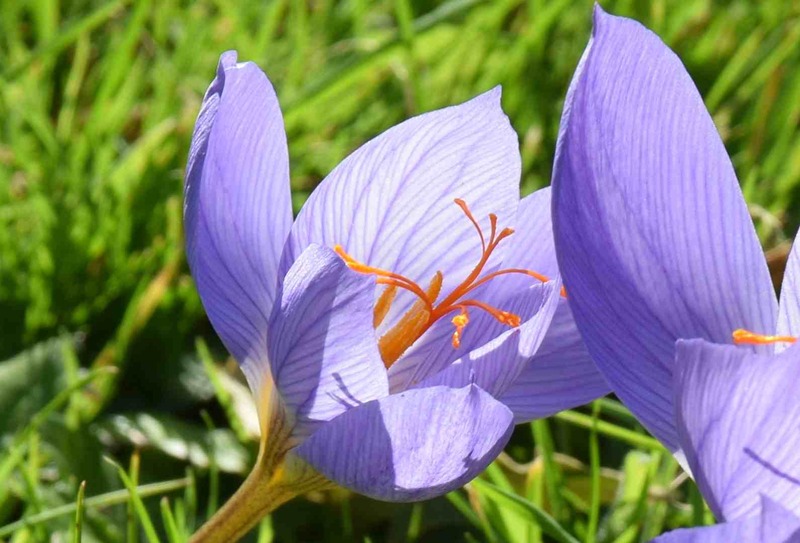 The cormous plants are synonymous with spring but there are more than 30 autumn-flowering species including the famous Crocus sativus (saffron) which is commonly sold but does not make a very floriferous clump. Crocus speciosus from turkey is a far more satisfactory plant, inexpensive to buy and quite easy as long as it is not planted in wet soil. Even here, in nasty thick clay, it does quite well, as long as it sees the sun, not only for its growth but for the flowers to open. Because although the slim buds are beautiful, it is only when the sun warms them that they throw open their tepals to show their full glory and release their honey scent. 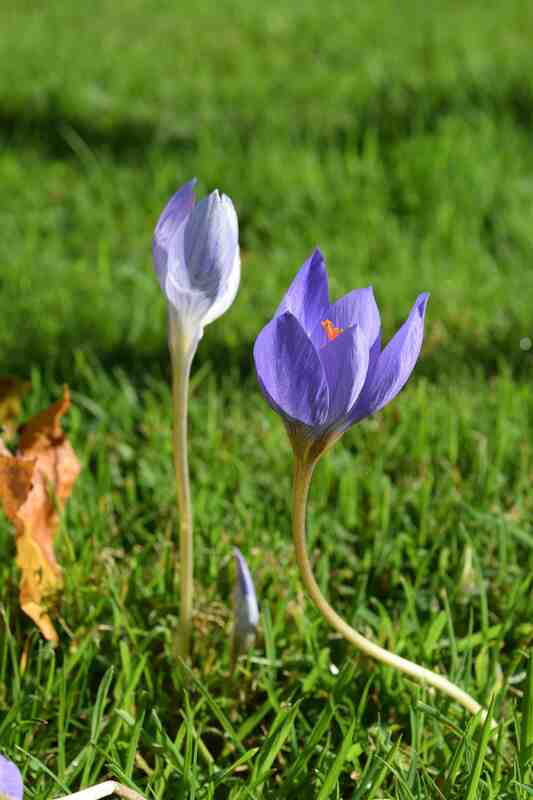 Unfortunately, the slender buds push through the soil (or grass) in October, after most of the colchicums have faded, and the weather is usually rotten. 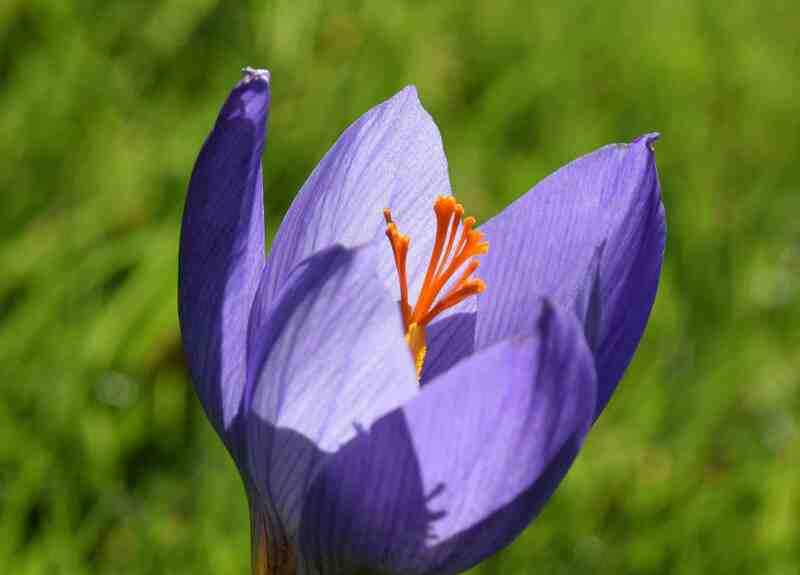 The wind will smash down the flowers far too often but the corms often send up more than one flower. Where it is happy it will seed around and while I can’t say that has happened here yet, the corms have been in for four years now and are slowly making a better show each autumn. If growing them in grass make sure the person that mows is told there could be buds appearing or tell them to look out for them. Of course, the leaves appear in spring and must be allowed to develop too. If you look, you may find corms still for sale but check that they have not flowered in the packs already – they should be planted before now really.